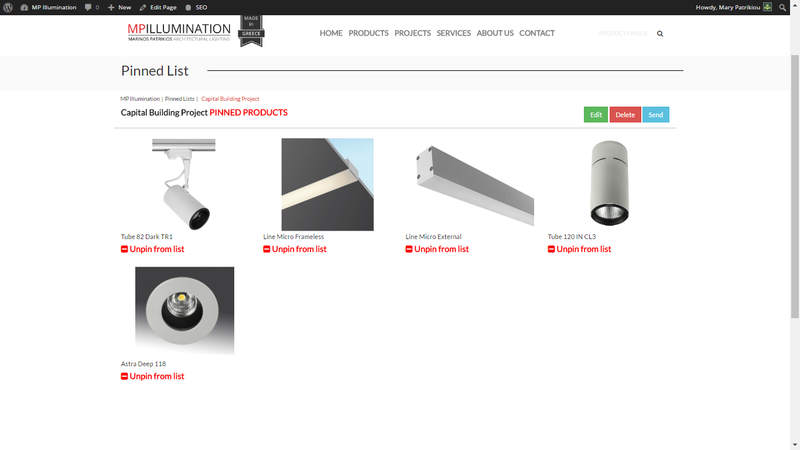 The “myMPlist” is a free business tool to collect, save, download and share product images and information. 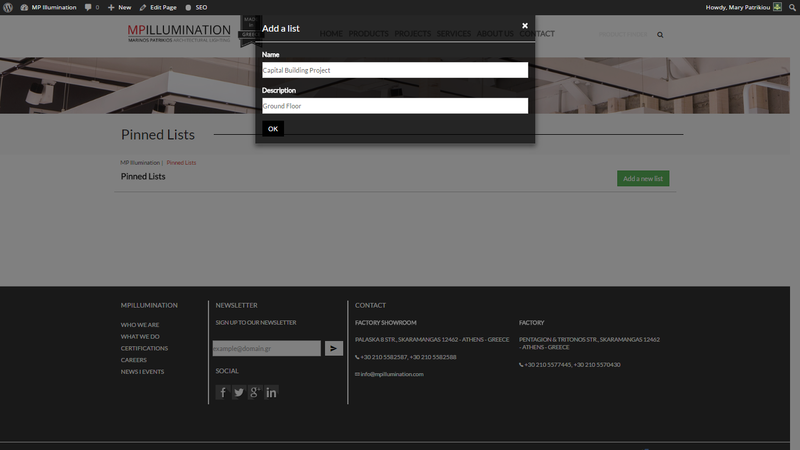 Create your personal product lists and share them with anyone involved in your project. Register to access extra features such as multiple and editable pinlists. 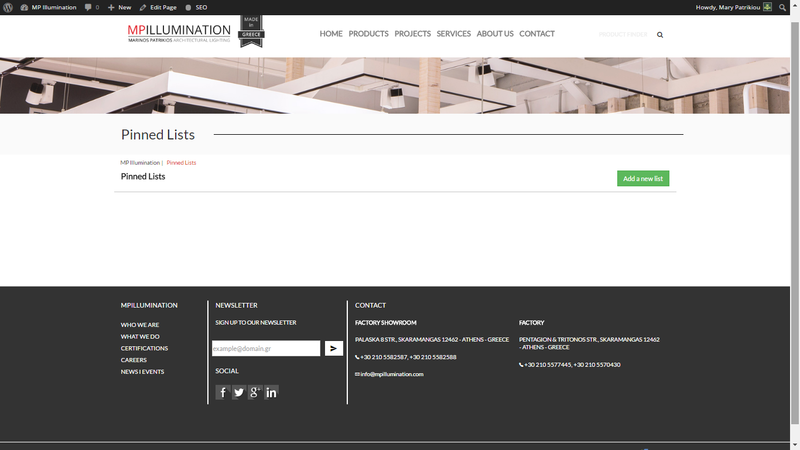 Browse through the website and pin the products of your favor to create your own list. 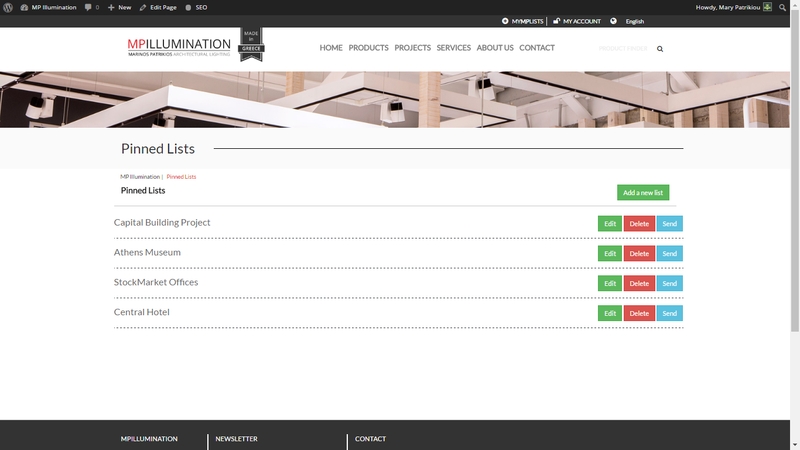 Create new list, named the list and give a description to help you and your partners to keep up with your project’s needs. Edit, delete at any point or send your selected lists to one or more contacts, so they can open, save, change and return the list. Create and save multiple pinlists. Your saved pinlists can be edited at any moment.